Bride and groom on the red scooter. 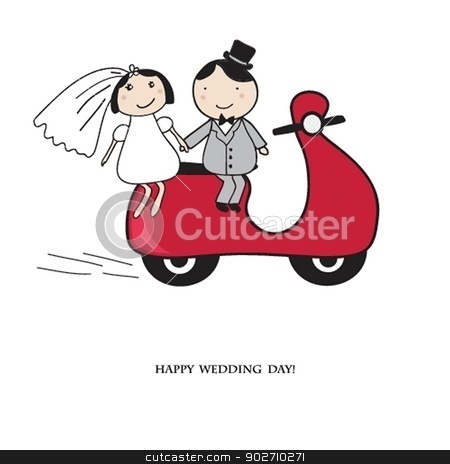 Bridal shower or wedding invitation with cute cartoon bride. Photo of Bride and groom on the red scooter. Bride and groom on the red scooter. Wedding card in vector version.